When your facility is challenged to improve productivity, process availability, and enterprise profits, modernization of your control system may provide the answer. By taking advantage of today's automation systems' advances, you can create more profitable operations and make a lasting difference. By positioning and employing modernization in the right way, management will see that these projects offer the operational benefits and return on capital that they are looking for, and they will more readily approve the project. They are also more likely to view the project team as company leaders who help the enterprise cost-effectively meet market needs. 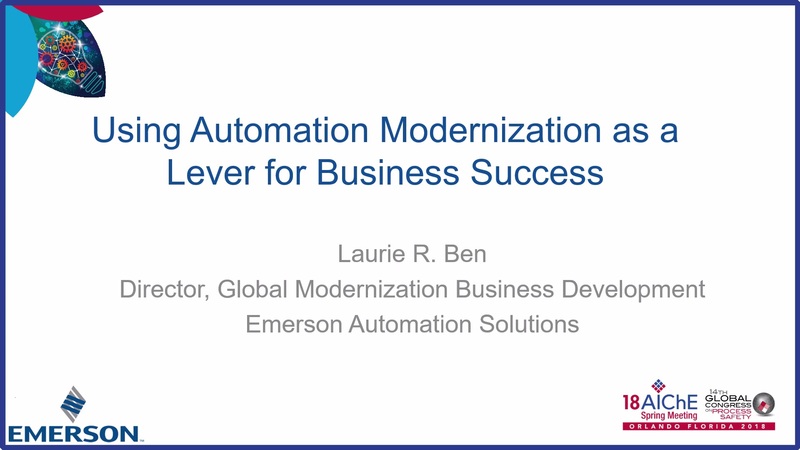 In this presentation, we will review the three key best practices that will ensure success in your modernization project and for your business.